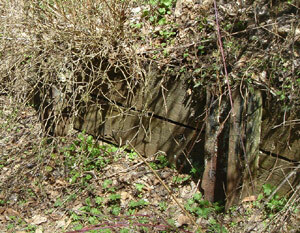 See also: Charleroi Interurban Artifacts from Glendenning Trestle. On the map from The Charleroi Interurban (1944), Glendenning is spelled correctly. Glendenning was incorrectly spelled Glendennin on the ERA map from Construction of the Charleroi Interurban (1952). 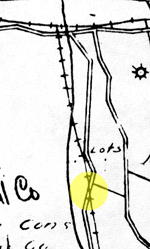 Yellow circle on the map below indicates where the Glendenning Trestle crossed Black Diamond Hollow Road near the north end of the hollow. 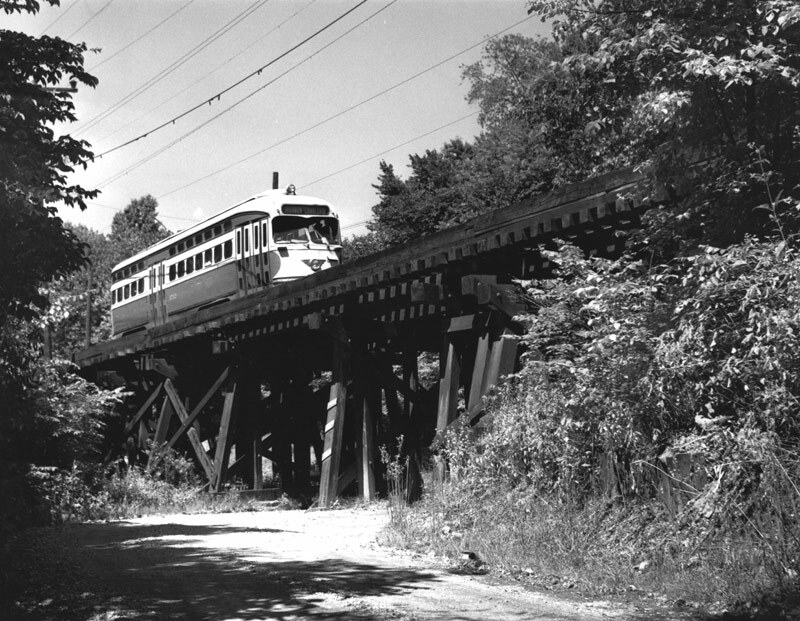 Section of extant retaining wall visible in lower-right in the black and white photo.